A much-needed addition to the Marvel universe, the company’s recent release delivers a thrilling, nostalgic storyline for its first female protagonist. Despite a lackluster trailer and preemptive criticism, “Captain Marvel” effectively builds up anticipation for April’s “Infinity War: Endgame,” while standing on its own as an engaging origin story. Set in the 1990s, “Captain Marvel” tells the story of Carol Danvers (Brie Larson) as she struggles with violent intergalactic warfare and her confusing past on Earth. With help from S.H.I.E.L.D. agent Nick Fury (Samuel L. Jackson), Carol Danvers steps into her role as the most powerful being in the universe, dealing with betrayal along the way. Following the history of the Avengers with a young Nick Fury, the film connected dots strung along movies over the past decade. From hints about the Infinity Stones and cameos of younger versions of Marvel characters, the details and context in the movie distinguish it from other cliche origin stories. Viewers not only feel nostalgic with references to past movies but also with the film’s setting, featuring Blockbusters, arcades and a stellar 90s soundtrack. While there have been comparisons drawn between “Captain Marvel” and DC’s 2017 female-centered “Wonder Woman,” the feel of the movie was more comparable to Marvel’s 2018 “Black Panther,” with important expansions into the world of Marvel and overdue representation. Unlike the overtly girl-power focused theme of “Wonder Woman,” Captain Marvel is unique for not just being Marvel’s first female protagonist, but also one of the most powerful heroes Marvel has ever featured. 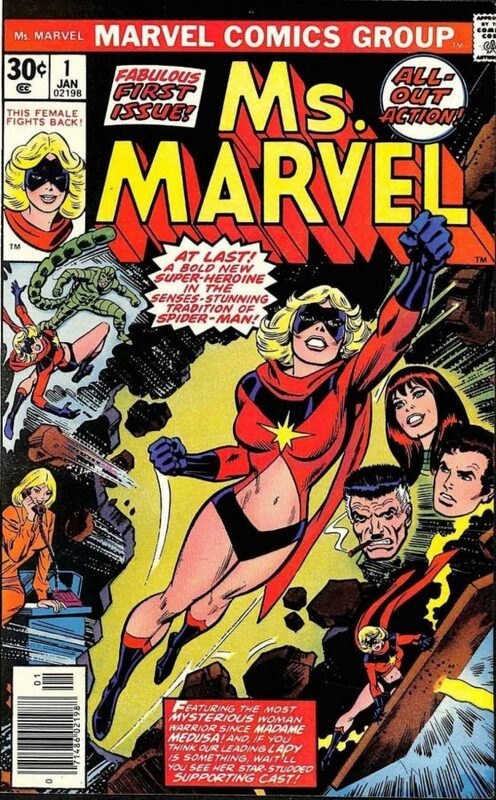 While the theme of the movie had feminist undertones, the main focus never faltered from Carol Danver’s growth and Captain Marvel’s story in saving the universe. Although the movie has a rocky start, the plot picks up momentum quickly, engaging Marvel fans with intense action scenes and interesting characters. From the surprising plot twists and strong on-screen friendship between Larson and the digitally de-aged Jackson, each scene of the story is captivating. However, while the agile and rebellious character of Captain Marvel was incredible to watch, Marvel seemed to play it safe by avoiding giving her any major character flaws— seemingly saving much of her true growth for “Endgame.” With neither too-perfect Mary Sue characteristics nor an overtly memorable personality, the Carol Danvers portrayed in “Captain Marvel” lacks the depth that make Marvel heroes Steve Rogers and Tony Stark riveting. On the other hand, from pilot Maria Rambeau (Lashana Lynch) to mentor Yon-Rogg, (Jude Law) almost every character in the film is thoroughly relatable and three-dimensional, with even the villain’s imperialistic motives being fleshed out. With its nuanced characters and plot development, “Captain Marvel” leaves fans excited for Carol Danver’s future growth and essential role in leading the Avengers in fighting Thanos to save the universe next month.